With the Bake Off blues well and truly setting in amongst baking enthusiasts across the UK this week, I thought I’d bring a little tonic to those who are suffering in the form of my very own version of the Bake Off finals as contested by an extremely capable group of young bakers in the form of the girls in my Brownie pack. For those of you who don’t know me in person, I am and have been for the last 15 years or so a leader in a thriving Brownie pack and on a weekly basis get to indulge in fun activities with a group of enthusiastic 7 to 11 years olds. This year, for the first time, I decided to take inspiration from everyone’s favourite baking programme and plan a Bake Off Challenge for the girls to participate in. 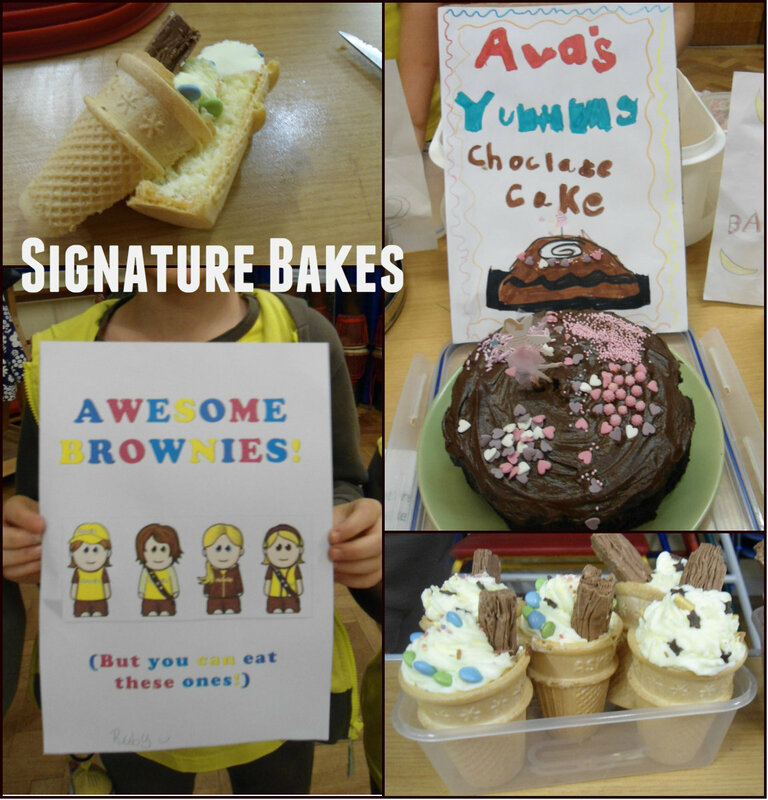 It was with much excitement that this began last Tuesday with the girls being asked to bring in their very own ‘Signature Bakes’ – some of which were very impressive. 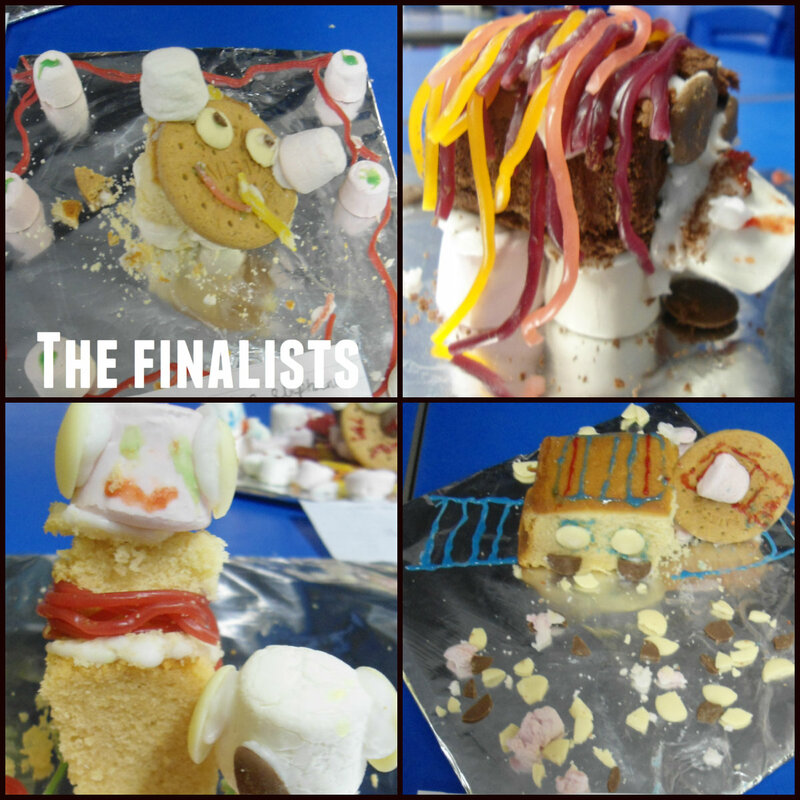 Just like the original all of their bakes were to be judged, with a winning six being crowned after all the challenges were completed. With the Signature Bakes the girls themselves were given the opportunity to be tasters and to mark another sixes bakes in secret. They took this very seriously and there were some very in depth discussions about what score each bake would get for its taste, texture and appearance. 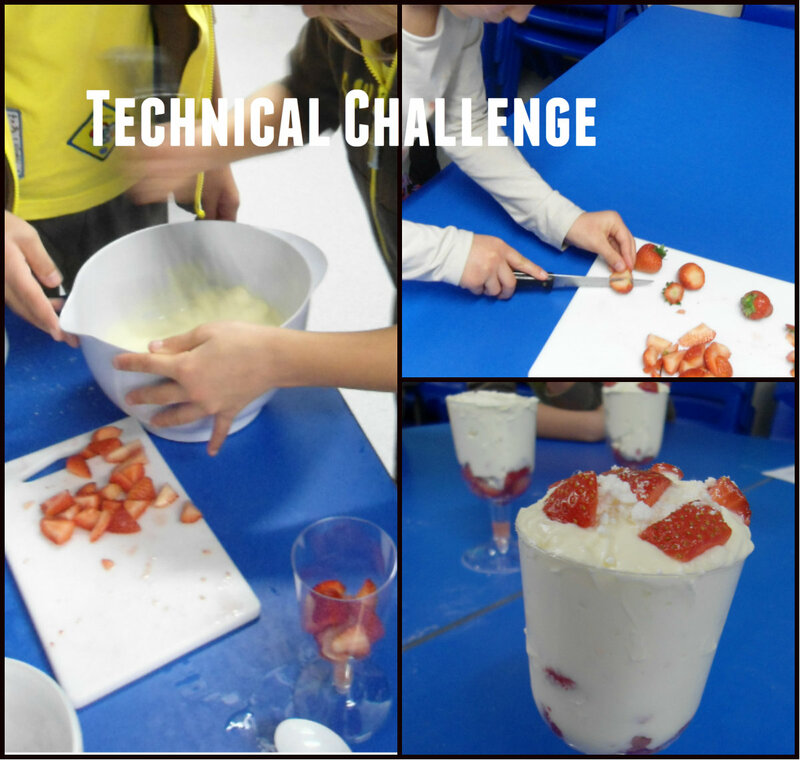 Next up was the ‘Technical Challenge’ where the Brownies were given the equipment, ingredients and recipe to make an Eton Mess. This time they were to be scored on not only their end product but also their ability to work as a team and following the instructions accurately. With no assistance from the leaders they set about creating this yummy dessert and it was evident quite quickly which groups were actually reading each step and following it to the letter and which were not!! After 20 minutes all the sixes had created a dessert but not all looked quite like an Eton Mess should – it was with quite a lot of hilarity that I read out the key step a number of them had missed which would have ensured the classic look of a layered desert rather than the mouse like mix of ingredients some of them had created. 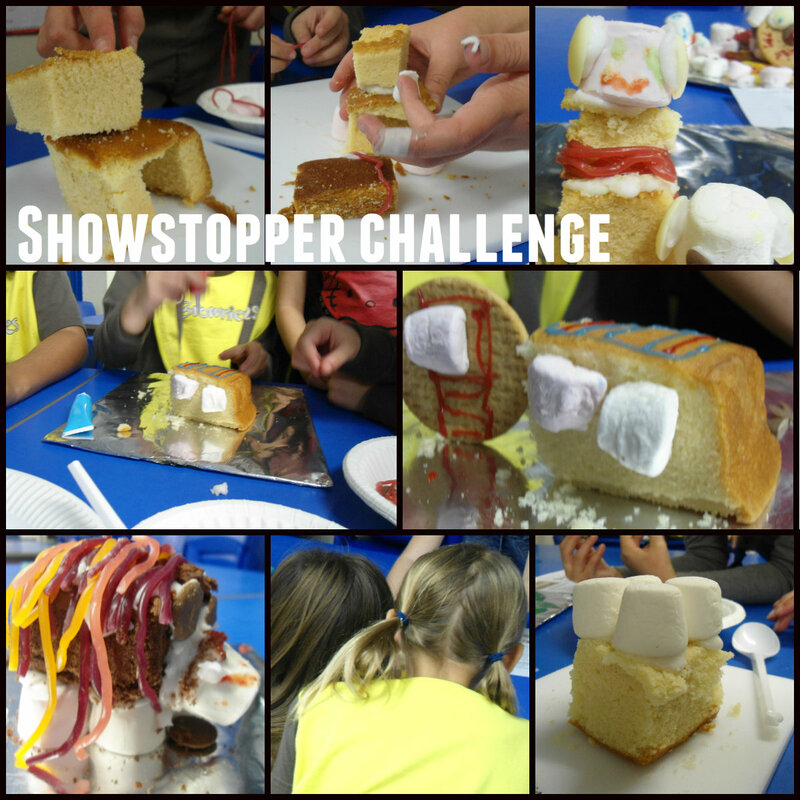 After a week’s break we were onto the final challenge – ‘The Showstopper’ after which we would crown one six the champions. For this the girls were given a selection of baked and sweet delights and a choice of themes (animal, insects, vehicles and structures) and instructed to let their creative juices flow. After some planning time the fun began and a superb selection of showstoppers were being created by the busy sixes. When their allocated time was up each was displayed and the final judging took place with all scores this time being based on the appearance of their final make. As in the Bake Off tent it was with much anticipation and excitement that the winner was finally announced, a team of girls whose creativity had shone throughout and whose final bake showed fantastic flair and imagination. They made a wonderful guinea pig themed showstopper which included the guinea pig itself, it’s run, water bottle and some food, a superb creation indeed. I for one can’t wait for the Bake Off to return, not only to our screens next year but also to my Brownie pack as this is definitely a challenge I’d love to repeat and think that the girls would with me too agree too!! !